Running Press Adult, 9780762459940, 264pp. 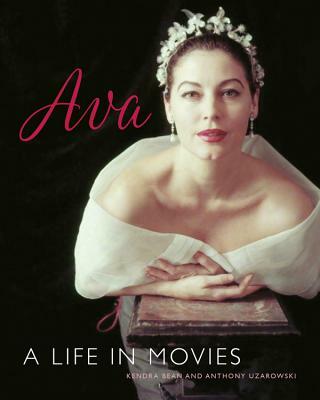 Ava is an illustrated tribute to a legendary life. Authors Kendra Bean and Anthony Uzarowski take a closer look at the Academy Award-nominated actress's life and famous screen roles. They also shed new light on the creation and maintenance of her glamorous image, her marriages, and friendships with famous figures such as Ernest Hemingway, John Huston, and Tennessee Williams. Kendra Bean is a historian and curator. She is the author of Vivien Leigh: An Intimate Portrait. She runs the popular classic film blog VivAndLarry.com. Her writing has also been published by the British Film Institute and Bright Lights Film Journal, and she has lectured on cinema at the National Portrait Gallery (London), Victoria and Albert Museum, the BFI, the San Francisco Presidio Officers' Club, and the Walt Disney Family Museum. She lives in London.